Dual layered anti-ageing treatment bootie combined with marine collagen, cooling peppermint and fruit extracts to nourish and deeply moisturise. 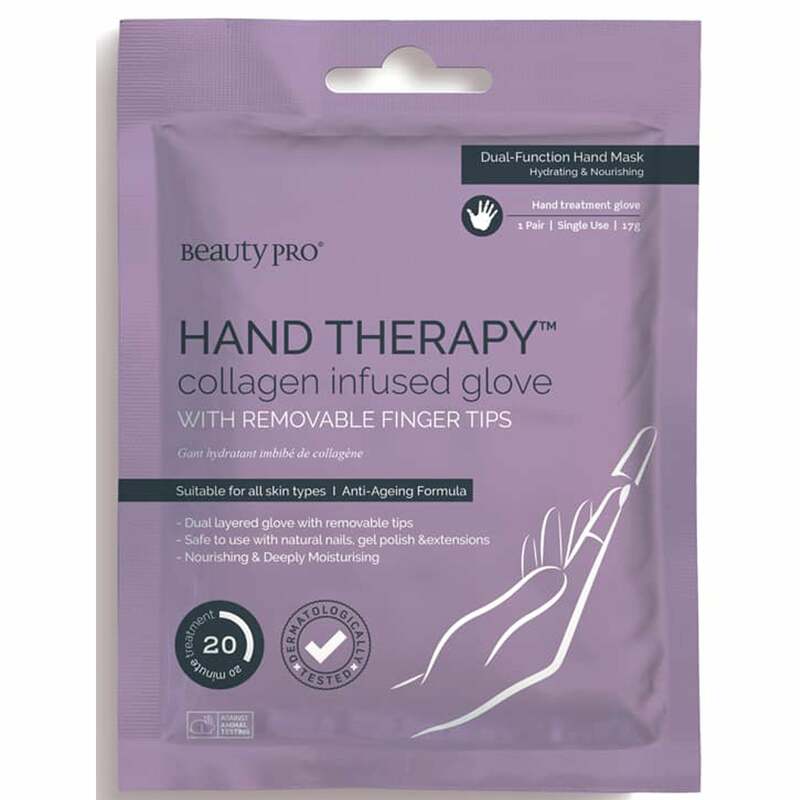 The BeautyPro HAND THERAPY Collagen Infused Glove with Removable Fingertips is a dual layered anti-ageing treatment glove that is combined with marine collagen and fruit extracts to nourish and deeply moisturise the hands. The removable finger tips makes it easy to work on the nails ro continue with daily activities. This wonderful treatment glove leads the hand soft, supple and hydrated.